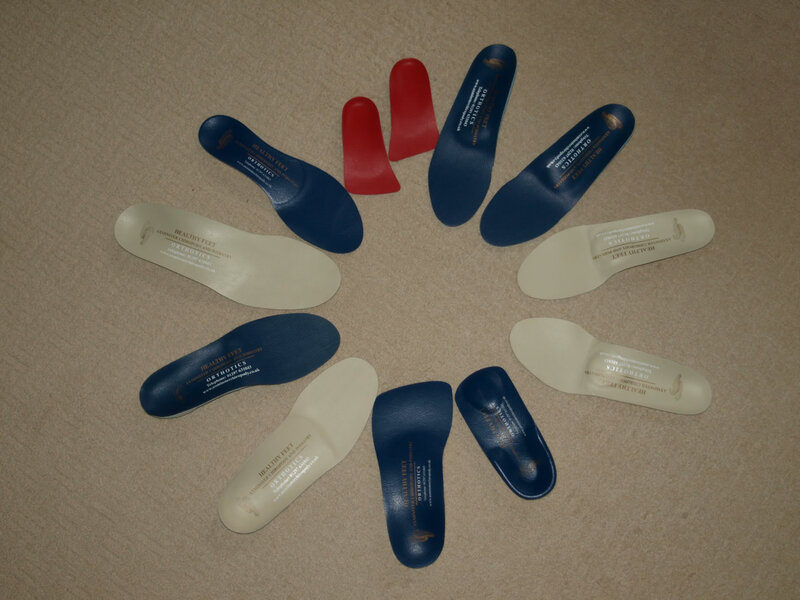 Orthotics are custom medical devices or special footwear inserts that are individually designed and manufactured to fit your foot exactly and to ease your pain and discomfort. They promote the proper alignment of the feet, restore balance, correct posture, improve sports performance and alleviate pain in the knee, hip and lower back, foot and heel, including pain caused by conditions such as Plantar fasciitis (Heel Pain). As your foot sits comfortably on the orthotic, it is gently and consistently directed into the optimum position allowing the foot to function correctly when walking, running and standing. At Healthy Feet - Foot and Heel Pain Clinic, the prescription orthotics are made to the highest standards available using modern technology, are completely accurate and provide the very best corrective treatment available. The 3D Optical Laser Foot Scanner replaces the need for traditional plaster casting and drawing around the foot, methods still in use today which are messy, inaccurate, costly and utilizing materials of limited life, requiring frequent replacement. The orthotics can be made thin enough to fit into your choice of footwear and there are a variety of styles available to cater for most footware styles from ladies slimfit to sports enthusiasts, from office to railway workers. Infants to adult. For most patients one pair is sufficient simply transferring from one pair of shoes to another. If you need an additional pair at a later date, it is guaranteed that they will be identical to the original pair and duplicate pairs can be supplied at discounted prices. As a parent myself, I understand the costs involved in purchasing orthotics for children with growing feet. For parents of patients under the age of 18 who have paid for an initial consultation for their child, a free follow up consultation is offered once a year (providing the patient attends once a year) until the child reaches the age of eighteen to ensure that the child continues to use orthotics that correctly fit the growing foot. The clinic also produces orthotics for patients under the age of eighteen at a reduced rate. Bespoke orthotics can be perscribed for various sports and outdoor pursuit enthusiasts, including runners, walkers, cricketers, footballers, cyclists, golfers and for those taking part in triathlon, to enhance performance and help reduce injury.